Vis ferry port is located on the island of Vis, Croatia. Ferry routes to and from Vis are currently served by 1 company: Jadrolinija, going to 3 destinations. In the high season there are 4 or 5 journeys per day. In the low season there are 3 or 4 journeys per day. Journey times are between 55 minutes and 2 hours 20 minutes depending on the route. 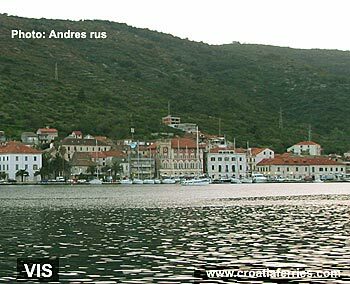 There are 2 ferry routes passing through the port of Vis; 1 accept cars, all accept bicycles and all accept pets on board. Below is a listing of departures and arrivals for Vis ferry port. The information is organized on the basis of monthly and daily schedules. Click on the required month to see the corresponding departure and arrival information for Vis ferries.